“The Followers” from Christian Faith Publishing author Laura L. Williams is a captivating narrative of a woman’s poignant life that exudes with resilience, courage, and conviction in the Lord. “The Followers”: a well-written account of a woman’s meandering life with her family and acquaintances that inspires faith and conviction in God. 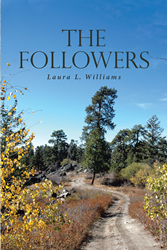 “The Followers” is the creation of published author, Laura L. Williams, a grandmother from Minnesota, a technical proofreader and secretary in her husband’s consulting metallurgical engineering firm, and a devout Christian. Williams shares, “Lavina, alias Nana, Spencer’s impulsive middle-of-the-night e-mail to her grandson’s place of work sets off a chain reaction that moves her from her beloved ten acres in the country to a grand mansion in the city. She begins an adventure of God’s making that eventually draws her whole family, and many others, down new paths. With her Bible-based theories of business offered to Harlan Morgan the Fourth, who is desperately trying, as the fourth generation, to save the family business he inherited on the death of his father, these two, one old and astute and the other young and inexperienced, begin following the path God has set before them, with nothing but their faith that He has put them together and that Nana’s theories will turn the business around. Elizabeth, the almost-an-architect granddaughter and beautiful watchdog over her much-loved Nana, quickly captures Harlan’s grieving heart with her gentle compassion for him and joins them on the path laid out before them; and, along with her brother, Ben, the struggling grandson whose family was at the center of Nana’s concerned e-mail, they soon gather others around them and into the Lord’s master plan. Published by Christian Faith Publishing, Laura L. Williams’s new book witnesses a woman whose life is met with constant trials and how she faced them with an unquenchable steadfastness. View a synopsis of “The Followers” on YouTube. Consumers can purchase“The Followers” at traditional brick & mortar bookstores, or online at Amazon.com, Apple iTunes store, or Barnes and Noble. For additional information or inquiries about “The Followers”, contact the Christian Faith Publishing media department at 866-554-0919.